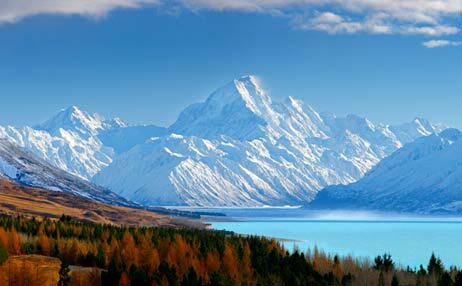 Special Offer Panoramic city tour of Queenstown. Visit the Waitomo glow worm caves. In a room there can be maximum of 3 adultsAs a 3rd person in a Triple Room, some hotels use roll away beds or 2 queen size beds. The tour will be operated, with Cox & Kings Tour Leader, subject to a minimum of 20 full paying adult passengers travelling together. In the event that the group size is less than 20 adult passengers, you will be given an option of travelling on an FIT basis, by paying an additional FIT SupplementThe Tour will be conducted on a seat-in-coach basis for a group strength of 2- 20. For convenience of our passengers, we will sometimes amend the itineraryHowever the inclusions remain unchanged. The right to vary, amend, alter or withdraw any particular itinerary, departure or excursion rests entirley with the companyDue to demand of a particular airline the in / out points may changeServices, however, will remain unchanged. Once an air ticket is issued, date change penalty cost will be applicableCheck with our Sales Officer for the applicable charges. Overseas Travel Insurance for the duration of the tour is included in the tour priceHowever, any passengers who wish to extend their stay will be required to pay additional charges. A part of your tour price will be taken in NZD from your L.R.Sas per the RBI / GOI regulations. 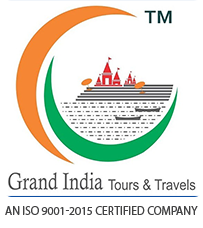 Passengers booking the Tour will have to pay any additional supplement amount, applicable from time to time, with immediate effect, on account of fuel hikes, any Government Taxes, Levy, by the respective Government or Statutory bodies, as and when applicable. Any damage caused to hotel rooms/coach during your stay, shall be borne by the concerned passengers.Panoramic city tour of Queenstown. Auckland City Hotel Or SimilarOptional & Add-On tours unless mentioned otherwise. Any increase in the fuel charges / visa / airfare / taxes / routing charged by the airlines for tickets (presently calculated on 01 Sep 2015). Medical test & Premium cost of your Trawell tag / Assist with Insurance valid for passengers above 70 years of age. Any increase in the rate of NZD leading to an increase in Tour Cost coming into effect prior to departure. However, the rate of exchange on the given day of payment will apply. Cost of additional sector tickets for further internal travel within New Zealand It is compulsory to purchase these tickets through Cox & Kings only at extra cost plus service charges. The tickets must be issued prior to travel from India. Welcome to your 'Essential New Zealand' tour! Experience Christchurch's scenic beauty. Visit International Antarctic Centre and learn about penguins. Enjoy the city tour of Mona Vale gardens, Cathedral, Museum and Art Centre, Avon River, Bridge of Remembrance, Kashmere Hills, newly opened pop up container mall. Today embark on a scenic drive. Proceed towards Queenstown, through Canterbury Plains. Photo stop at Church Of Good Shepherd. Proceed to Lake Tekapo, Lake Pukaki, Mt. Cook lookout point and glacier region. You may opt for Helicopter Ride at Mount Cook. En route photo stops. Visit Puzzling World at Wanaka. Experience thrills while walking through pathways at the maze and find the way. Arrive Queenstown. Proceed for a city tour, viewing Lake Hayes, in Wakatipu basin, renowned for its scenic beauty, AJ Hackett Bungy Bridge, historic Arrowtown, Edith Cawell Bridge. Enjoy a Gondola Ride to Bobs peak for stunning views. Check-in at hotel (check in after 1400 hrs ). Today explore the scenic surroundings beyond Queenstown, as you travel to Fiordland. Enjoy Milford Sound Cruise. Drive through scenic landscapes and pass by Te Anau town. Situated within Fiordland National Park, part of Te Wahipounamu World Heritage site, lies New Zealand's most stunning natural attraction - Milford Sound. Milford Sound is the best known of all the Fiords in New Zealand. At the pinnacle of Milford Sound is the magnetising Mitre Peak - a prominent peak on the south shore of Milford Sound, standing a proud 1,692 metres above sea level, it is certainly an impressive sight to be hold. The Peak actually consists of five closely grouped individual peaks. Bounded by towering steep cliffs and dense forests and peaks, behold the beautiful pristine scenery. Watch out for seals, dolphins and penguins. Return to hotel in Queenstown. The day is at leisure or you can opt for any of the optional activities like Bungy Jumping, Shotover Jet Ride, Ziplining, Paragliding, Skydiving. After breakfast, check-out and transfer to the airport for your flight to Auckland. On arrival in Auckland, drive to Rotorua. Rotorua, located on a volcanic plateau, is the heartland of Maori culture and the centre of New Zealand's spectacular geothermal wonders. After arrival, check into the hotel (check in after 1400 hrs). Meals : Breakfast at the hotel restaurant, Lunch & Dinner at an Indian restaurant. On arrival, proceed for a panoramic city tour of Rotorua. Visit the Agrodome and watch the Sheep Shearing Show. Get an insight into New Zealand agriculture. Visit Te Puia, Rotorua's best known reserve of thermal springs; formerly known as Whakarewarewa Hot Springs where boiling mud pools and roaring geysers greet you. Opt for Polynesian Spa. Then visit the Maori Arts & Crafts Institute. Proceed to explore Waikato region. Visit world renowned Waitomo Caves. Enjoy the spectacular caves with its majestic and ornate decorations, the deep limestone shaft known as the Tomo and the equally magnificent Cathedral. Take a boat ride through the Glowworm Grotto. Proceed to Hamilton. Visit Hamilton Gardens. Take a journey of discovery along paths delivering mysterious surprises: step from a peaceful Sung Dynasty Chinese Scholar's garden into an Italian Renaissance Garden, before being enthralled by the grandeur of the Indian Char Bagh ('four quartered') Garden, overlooking the Waikato River. Proceed to Auckland and continue for a panoramic city tour including Queen Street, pass through Auckland University grounds, historic buildings, Harbour Bridge, Viaduct Harbour, Queen Street, Michael Savage Memorial Park and Tamaki Drive. Visit SkyTower. (Entry only) Later, check-in at the hotel. As you get ready for the airport and your flight back home, relive the high points of your 'Essential New Zealand' tour. We are confident you will join us again sometime soon. Helicopter Ride Mt. Cook (20 Min Snow Landing) [entrance Only] Helicopter Ride Mt. 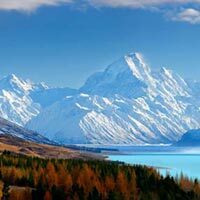 Cook (20 Min Snow Landing) [entrance Only] View vast snowfields, glaciers and New Zealand's highest peak Aoraki/Mount Cook on a Helicopter Ride as you fly via the Ben Ohau Mountain Range, viewing spectacular hanging glaciers and rivers of moving ice. Then descend beside the beautiful turquoise hues of the glacially fed Lake Pukaki to complete a flight you will never forget.